For years now, I have collected note cards and other types of stationary. Sure, sending out an e-mail is quick and easy, but I still love to write a good old fashioned note to family and friends. Oh and yes, we send out holiday cards to family members when the stamp often costs more than the card itself. 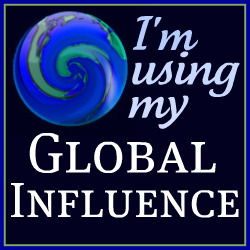 As a member of Global Influence, I was offered the opportunity to have a CardsDirect giveaway. Of course, I said yes for my readers since their website and products intrigued me. Heads up, I will also be receiving a thank you $50 gift card of my own for hosting this giveaway. CardsDirect offers the very best in personalized greeting cards for business or personal use. Over 2,000 card designs are available in categories that include holiday cards, Christmas cards, birthday cards, thank you cards, photo cards, baby shower invitations, baby announcements and many more! With free personalization and custom imprinted verse, CardsDirect offers an easy online ordering process and top quality cards with the best selection, customer service and pricing found anywhere. I can not wait to figure out what to order. I think we will be purchasing Holiday photo cards that will cover Christmas, Chanukah and New Years for our friends and family. 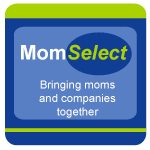 So far I have found plenty of great options and just need to sit down and make a final decision (easier said than done with all of the choices). Thanks to Global Influence and CardsDirect, one lucky winner will receive a $50 gift card from CardsDirect to select your own items to have made. MAIN RULE – If you win, what will you use your $50 CardsDirect gift card for? 1 Bonus Entry – Leave a comment on any of my non-giveaway posts from the month of September/October. Leave a comment here to let me know which one. This Bonus entry may be done only twice per person. To enter, please follow the rules above within the comment section. Contest starts today September 30, 2010 and ends at 10:59 EST on October 21, 2010. You do not have to be a blogger to enter, but must leave a valid e-mail address for me to contact you for mailing address once the giveaway is over. I will select the winner using random.org and contact you via e-mail. You will have 48 hours to claim the prize. If there is no response, another winner will be selected. Open to U.S. residents only. Disclosure: I wrote this giveaway as part of a Global Influence campaign for CardsDirect. By sparing this infromation with my readers, I will also receive a $50 gift card to thank me for my participation. No other compensation has been given. I’d use them for Christmas cards! I would use this for Christmas Cards, I have been remiss the last few years and really need to get back in the staying in touch game! I commented on your 10-8 post as well! I’d get the Peace, Love and Joy photo cards.